If you’re looking to get off the beaten track for your next holiday a Camper Trailer (or travel trailer) is a great way to go about it. Taking a fully kitted Camper Trailer with you when you go out bush ensures you have all the gear you need with comfortable accommodation that’s quick and easy to set up. All without sacrificing the great outdoors experience. *Finance subject to approval, including the application of applicable lending criteria. Terms and Conditions apply. Fees and Charges are payable. Credit provider is Automotive Financial Services Pty Limited – Australian credit licence 383762. ^Comparison rate for AFS Loan Contract and Mortgage is calculated on a loan amount of $30,000 secured over a term of 5 years based on monthly repayments. WARNING: This comparison rate applies only to the example or examples given. Different amounts and terms will result in different comparison rates. Costs such as redraw fees or early repayment fees, and cost savings such as fee waivers, are not included in the comparison rate but may influence the cost of the loan. **Finance subject to approval, including the application of applicable lending criteria. Terms and Conditions apply. Fees and Charges are payable. Credit provider is Automotive Financial Services Pty Limited – Australian credit licence 383762. ^Comparison rate for AFS Loan Contract and Mortgage is calculated on a loan amount of $30,000 secured over a term of 5 years based on monthly repayments. WARNING: This comparison rate applies only to the example or examples given. Different amounts and terms will result in different comparison rates. Costs such as redraw fees or early repayment fees, and cost savings such as fee waivers, are not included in the comparison rate but may influence the cost of the loan. ***Finance subject to approval, including the application of applicable lending criteria. Terms and Conditions apply. Fees and Charges are payable. Commercial rates are only available for novated leases or businesses with a registered Australian Business Number (ABN) and where the goods being financed are predominantly for business use. Interest rate only applicable for new goods that have not been pre-owned and where the applicant has an established good credit history. Finance subject to approval, including the application of applicable lending criteria. Terms and Conditions apply. Fees and Charges are payable. Credit provider is Automotive Financial Services – Australian credit licence 383762. We love the great outdoors too, which is why the team at Aussie Leisure Loans are happy to provide Camper Trailer Finance for everything from second hand to brand new and even custom-made trailers. Through our long-term association with a wide panel of lenders, we’re able to source for you very competitive leisure vehicle finance rates. If you’re ready to start shopping for a camper, talk to us first and we can set you up with a pre-approved loan. Once you know you have finance and what your budget is you’ll be able to negotiate with confidence to get what you want, at the price you want. Alternatively, if you want something custom made just for you we’re happy to talk about financing a travel trailer project with an approved manufacturer. This will make sure the Camper Trailer you buy has everything you need, with nothing you don’t. 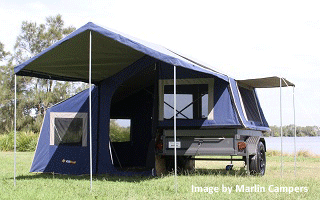 Whether you’re ready to buy or you’re about to start searching for the right trailer, talk to the team at Aussie Leisure Loans about our competitive Camper Trailer loans. You can call us on 1300 769 999 or even fill out an application form to get the ball rolling today! What’s the difference between motorhomes, campervans & caravans?